mp3Tag Pro is an ID3 tag editor for audio files. It can fill out missing ID3 tag fields (title, artist, album, year, genre, comments etc.) using parts of filenames and folder names. If the required information is not there at all, mp3Tag Pro can download ID3 tags from internet services, like Amazon and FreeDB. You can export existing tags for a backup or for further processing, and import ID3 tags from a database through a CSV file. With mp3Tag Pro you can organize your collection by creating new folders and sorting music files into them according to the pattern that you specify. The program is also capable of downloading lyrics and album art for any selected group of files. The downloaded lyrics and cover art will be saved in ID3 tags inside the files, or as separate files. 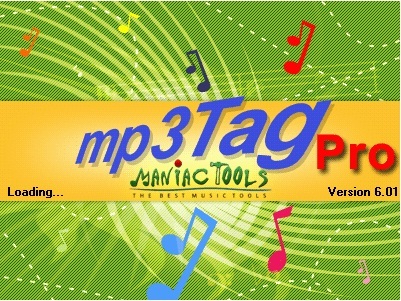 mp3Tag Pro supports tags in MP3, WMA, OGG, WAV, FLAC, APE, WV, M4A, AAC, MPC files. All files are processed in the same way and don't need to be separated. Organize MP3, WMA, WAV, FLAC, APE, OGG Vorbis, AAC, WavPack, MPC/ MPP/ MP+, and M4a/ MP4 files, download lyrics and album art. Customize the program by adjusting various settings. mp3Tag Pro offers good defaults, but you can always change them to create your own style. You can use the program to generate tags from filenames and folder names, download them from Amazon or FreeDB, import ID3 tags from file. Rename and sort your audio files by using information from ID3 tags. Any field of the tag can be used to create folders or filenames.